MANTIC CLUTCH---Free Shipping + Get $50.00 Off Your Next Order!!! 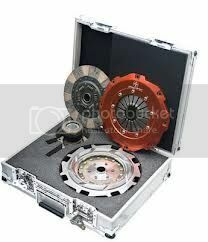 We are very proud to be the newest dealer for Mantic Performance Clutch! - When you purchase a Mantic clutch from us, you will receive a coupon good for $50.00 off your next order at www.BallisticSpeedParts.com. Mantic performance clutches are fully engineered and manufactured in Australia and feature truly unique design and engineering innovations that set them apart from any other performance clutch manufacturer. Mantic manufactures Twin Disc and Single Disc clutches for GM LSx powered vehicles. -	Total weight: 33.8 lbs. -	Total weight: 46 lbs. Buy now and get free shipping and save $50.00 off your next order!!! Last edited by [email protected]; 08-22-2013 at 07:44 PM. New Mantic inventory arrived today...We are now offering $50.00 off your next order with any Mantic Clutch purchase!!! Feel free to PM me any questions you may have. Gen 5 Camaro Bilstein Coilovers!!! Quick Reply: MANTIC CLUTCH---Free Shipping + Get $50.00 Off Your Next Order!! !